I am a 13 year old girl and I have had a pretty rough life so far: my parents went through a nasty divorce when I was only a toddler, so I grew up never knowing what it's like when mommy and daddy live together. I also suffered from some minor emotional abuse from my step mother for a couple of years (When I was 10 and 11). But now my life is becoming really hectic and over whelming. 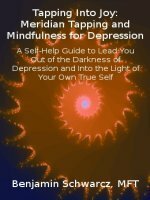 For the past year I have been suffering from waves of depression- bad depression. I have times where I think I am hopeless and worthless, and I feel sad, anxious and angry with myself. I also feel very irritable all the time. I have also occasionally had thoughts of suicide and self-harm. But I am too embarrassed to tell anyone. What kind of depression may I have and what should I do? are afraid or embarrassed to admit they are depressed or to ask for help - but it is SO important that you do. You don't want things to get worse. Other than talking, I recommend EFT/Meridian Tapping, exercise, being in nature and finding an activity that you truly love, that makes you feel good about yourself, and really putting your whole self into that. If you can't find anything to focus on that makes you feel good about yourself (and is healthy), then it really is time to talk to someone. You can also call a confidential teen hotline (there is a long list of them on this website). There's lots of help all around you if you ask for it. If you have thoughts of hurting yourself - Please call a hotline or talk to a caring adult. Don't give up, it can get better.